Help your leather maintain its suppleness and resist scuffing, splitting, and cracking. This 32 ounce bottle of Kali Leather Life can be used on tack, saddles, boots, shoes, bags, auto leather, and anything leather or vinyl. It even works on exotics. This is a one-step product that cleans and conditions at the same time. 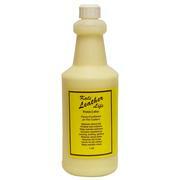 It dissolves wax and dirt while restoring the natural oils to your leather. This is 32 ounces of Kali Leather Life in an easy to use spray bottle. This is a different formulation that is specially designed for spray application. Clean and condition your leather and vinyl using this quick application method. Dirt and waxes are dissolved and leather is conditioned in one simple step. 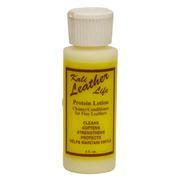 This is a protein lotion that cleans and restores the natural oils in your fine leather, exotic leather, and vinyl. This product is designed to give you clean and supple leather. 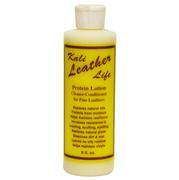 Kali Leather Life combats mold, mildew, scuffing, splitting, and cracking. This is the 18 ounce bottle of Kali Leather Life. This product dissolves dirt and wax. It also conditions and restores the natural oils. Kali is effective when dealing with mold and mildew. This leather care product works on leather, exotics, and vinyl. Treated leather resists scuffing, cracking, and splitting. 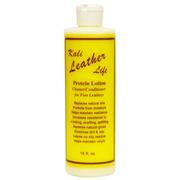 Kali Leather Life is a protein lotion that cleans and conditions in one easy step. It can be used on vinyl, most fine leather, and exotic leathers. Dirt and wax are dissolved while natural oils are absorbed into the leather. This increases the resilience and suppleness of the leather helping it resist cracking, splitting, and scuffing. This is the 8 ounce size of Kali Leather Life. Clean and condition at the same time. 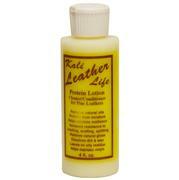 Kali Leather Life is a restorative cream works great on most fine leather, exotic leathers, and vinyl. It dissolves dirt and was and restores natural oils. This leaves your leather clean, supple, and able to resist cracking, splitting, and scuffing. This 4 ounce bottle is convenient for traveling and at home. Clean while you condition at home or on the go. This 2 ounce bottle of Kali Leather Life cleans and conditions in one step. 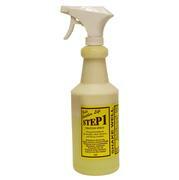 It leaves no oily residue and is effective for cleaning and protecting most fine and exotic leathers. Helps leather resist cracking, scuffing, splitting, and moisture. It even helps remove mold and mildew.